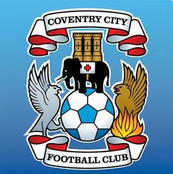 Discussion in 'Coventry City General Chat' started by Nick, Oct 10, 2018. Win. 2-1. Chaplin to open his account from open play. Team all over the place and Wycombe cut through us like butter, but we hang on, bag the three points and everyone starts talking about automatic promotion. Isn't that the method we used to get promoted? Wycombe are draw specialists aren't they? Got 1-1 written all over it. Two tricky away games coming up, a win v Wycombe is crucial for momentum IMO. I’m probably being really think and/or missed the introduction to this, but what is this about? Nobody knows, just leave him. Ricketts, JulianDarbyFTW, Greggs and 4 others like this. 3-1 I think let’s have a Chaplin hat trick! Be great to see the battle of Davies v Akinfenwa who I really like as a player thought he could of done a job for us last season!! Missed Sunderland and Pompey as had a pre booked holiday so looking forward to my drive up Saturday morning PUSB Onwards and upwards!!! Yeah, he's happy there in his little box. Just smile, pretend you know what he's talking about and play along. That was Home Away...this Away Home...different momentum. The game is on ifollow for those that can't get up the ricoh. It’s a ranking system they use in chess. I think it’s based on results against each other. A bit early for the panto season, isn't it? A win. Closing in on top six. steve cooper, Somerset Sky Blue and Pete in Portugal like this. And how do I click that? I'd like to see Hiwula play up front instead of JCH, he's fairly big and strong and might make some runs into the channel to help stretch the game out a bit. That said, JCH is useful at the back defending corners, particularly against a big team like Wycombe. Bakayoko to come on and change the game again. I'd be starting JCH in a hope that Baka's performance from the bench pulls out a similar performance that we saw v Sunderland. Competition for places up top is at a seasons high currently and training this week would have given Robins an idea of how JCH reacted to the teams performance after his departure on Saturday. Need to give the JCH-Chaplin partnership a bit more time to flourish IMO, no better place to do that than at home off the back of a confidence boosting away win.